Since December is arriving at Full Speed and most terrains will be impracticable for skateboarding, going Full Bleed might be an option. 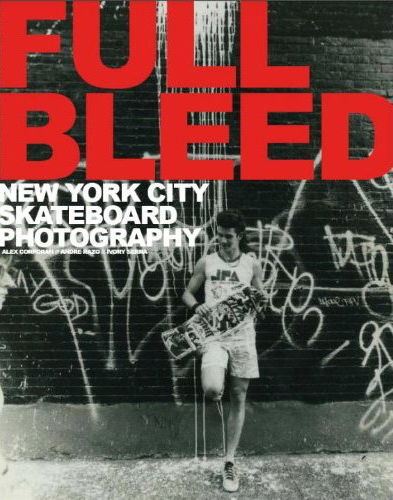 Full Bleed is a book that was released more than one year ago and was the first-ever comprehensive overview of the one of the most diverse and rich street skating locations in the world: New York. Bringing together legendary skaters and iconic photographers featuring the work of: Giovanni Reda, Jessica Bard, Ivory Serra, Tobin Yelland, Miki Vuckovich, Thomas Campbell, Larry Clark, Ed Templeton, Jerry Hsu, Atiba Jefferson, Bryce Kanights, Angela Boatwright, Athena Currey, Kenneth Cappello, Charlie Samuels, Andy Kessler, Mike O’Meally, Sammy Glucksman, Allen Ying, and more, Full Blled expresses the complexity and richness of Skateboarding in New York. Skating just for fun between Times Square and Little Italy during the 80’s (where Shut was holding their operations in the basement of a giant building) has been one of the highlights of my skateboarding life. During the couple of hours it takes to do the trip, it is impossible not to feel the magnitude of the landscape, the variety of the terrain, smells, sight, sounds, and with the city in constant motion, skateboarding on the street of New York is both exhilarating and extremely dangerous. There is no right or wrong way to navigate this vast terrain. 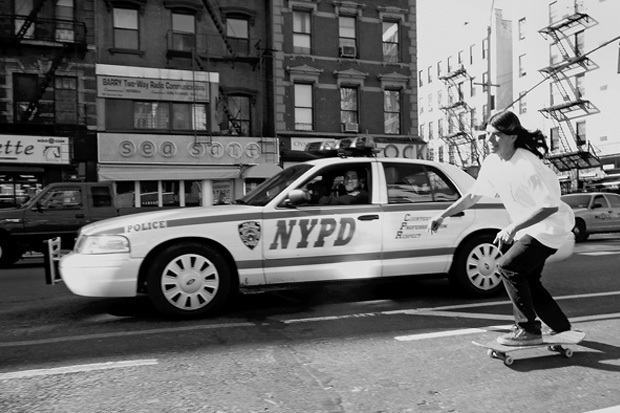 Only one thing is certain—the skaters and images produced in New York City are wholly unique. Few sports interact with the built environment as fully as skateboarding, and Full Bleed serves as thrilling document of this communication between athlete and urban terrain. Larry Clark to star in the movie “Kids” before modelling for Tommy Hilfiger, partying with Paris Hilton, and finally dying of a cocaine overdose in the Campos housing project where he grew up.